Bicycles provide a healthy, fun and economical form of transportation for the people of Tennessee, but sometimes those who drive motor vehicles do not obey the rules of the road and they do not yield to bicyclists or make an effort to share the road with them safely. Unfortunately, often times bicyclists get injured and die when motor vehicle drivers are careless and do not keep an eye out for them on the road. Bicyclists do not stand a chance when it comes to a collision with a motor vehicle. At the Rocky McElhaney Law Firm, we are here to protect your rights when you have been injured in an accident caused by another person’s negligence. Our experienced team of Nashville bicycle accident attorneys pursues compensation on your behalf when you have suffered serious injuries that require medical treatment and that might interfere with your ability to earn a living and care for your family. With offices in Nashville, Hendersonville and Knoxville, our injury lawyers are always there when you need us most. The National Highway Transportation Safety Administration (NHTSA) is responsible for keeping data on traffic accidents that occur on public roads and highways. The NHTSA reports that in 2013, there were 743 pedal-cyclists killed and approximately 48,000 injured in crashes with motor vehicles. The deaths of bicyclists accounted for approximately 2 percent of all motor vehicle traffic fatalities, and injured bicyclists also made up 2 percent of people injured in traffic crashes in 2013 (the most recent, complete data). These numbers do not include bicycle crashes that did not involve motor vehicles. Sometimes bike crashes involve running into trees or other stationary objects when the rider loses control of the bike. While the number of bicyclists killed in motor vehicle crashes in 2013 is up just one percent over the previous year, it is part of an upward trend in pedal-cyclist fatalities that has increased 19 percent since 2010. Bike collisions must always be treated seriously, because riders have much less protection offered to them than drivers and passengers. If you were in a collision, seek out medical help right away, even if you “feel fine.” Then, contact a Nashville bike accident attorney at RML to find out what your legal options are if you have been hurt. The Insurance Institute for Highway Safety (IIHS) reports that 60 percent of bicyclists killed in 2014 were not wearing helmets at the time of the crash. According to the U.S. Centers for Disease Control and Prevention (CDC), bicycle helmets reduce the risk of head and brain injuries in the event of a crash, and a properly fitting helmet will protect all riders regardless of their age. Bicycle helmet laws have reduced crash-related injuries and deaths among children and they have increased helmet use in adults. When bicyclists wear fluorescent and reflective clothing, it makes them more visible to motorists in the day and the nighttime. Active lighting–white in front and red in the rear also helps improve visibility for bicyclists. If you or a loved one has been injured in a bicycle crash, schedule a consultation with a Nashville bike injury attorney at the Rocky McElhaney Law Firm. We can inform you of your rights given the facts of your case. If you are the loved one of someone who has died in a bicycle accident, we can discuss how a wrongful death lawsuit might compensate you for your losses. 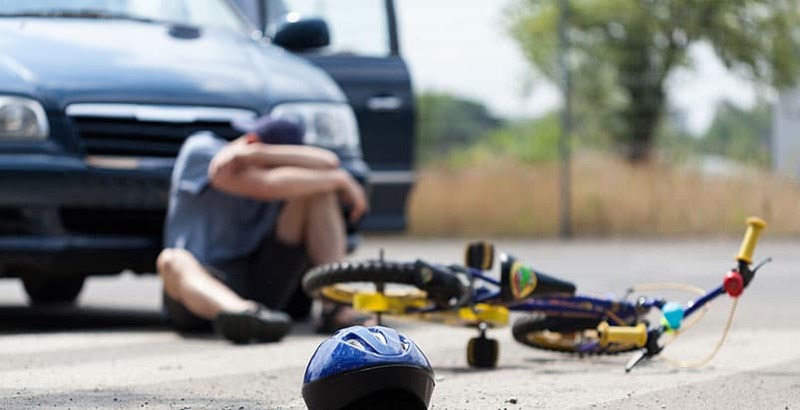 The Rocky McElhaney Law Firm in Nashville has the experiences and resources you want on your side when you have been injured in a bicycle versus motor vehicle accident. We protect the rights of cyclists and we don’t back down from a fight with the insurance companies who don’t want to pay up. To schedule a free initial consultation, please call 615.246.5549 or fill out our contact form today. We are proud to help clients from all over Tennessee, and have additional offices in Nashville, Hendersonville and Knoxville to better serve you.